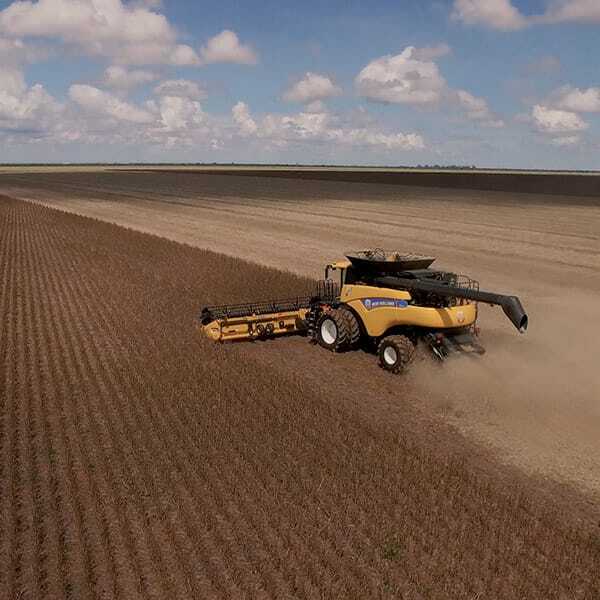 New Holland sets a new world record by harvesting a massive 439.730 tonnes of soybean in eight hours with the CR8.90 combine harvester. The outstanding performance in exceptionally high yield crop took place in the Bahia State of Brazil and was certified by independent adjudicator RankBrasil. New Holland presents its Concept Tractor powered by methane and its vision for a sustainable future of agriculture at Farm Progress Show in Decatur IL, USA. 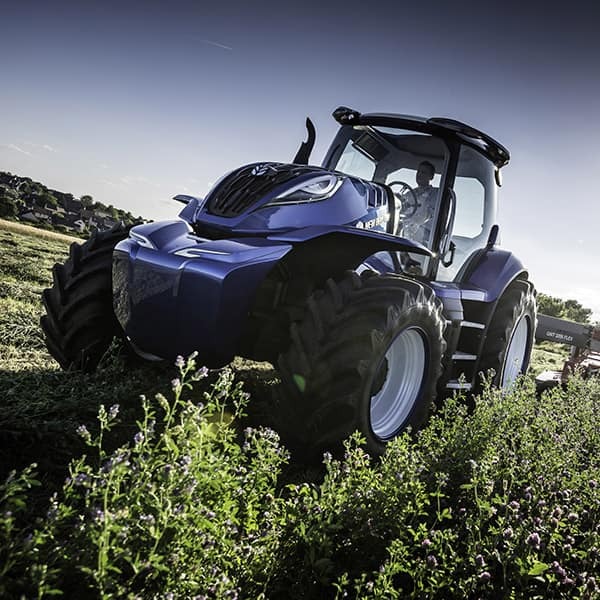 The concept tractor features a 6-cylinder NEF methane engine developed for agriculture applications by FPT Industrial which delivers 180 hp and 740 Nm, the same power and torque as its standard diesel equivalent. It produces at least 10% lower CO2 emissions and reduces overall emissions by 80% and generates up to 30% running cost savings. 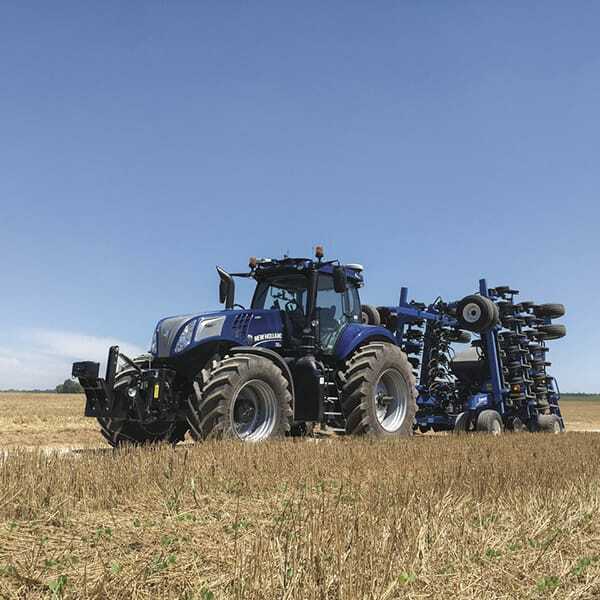 New Holland expands its offering with new implement product lines after CNH Industrial acquires the agricultural Grass and Soil implements brands of Kongskilde Industries. The NHDrive concept autonomous tractor is unveiled at the Farm Progress show in Boone IA, USA. It is an unmanned fully autonomous tractor able to work 24 hours a day, 7 days a week. The NHDrive is equipped with a cab identical to that of a standard production model and can be driven by an operator for those operations where complete autonomy is not yet possible, thus ensuring maximum flexibility. The BigBaler Plus completes a challenge proving ultimate efficiency and productivity, excellent bale quality and outstanding reliability: 32t/h, 1254 bales averaging 434 kg in 17 hours over 2 days. The challenge is overseen and the results certified by SGS. 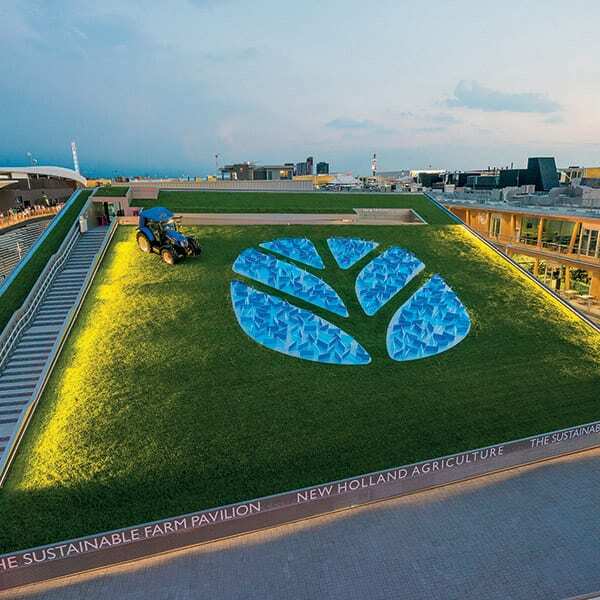 New Holland is the only manufacturer of agricultural machinery present at Expo Milano 2015 with its own Sustainable Farm Pavilion. More than 850 thousand visitors enjoyed the multiple interactive tools, the video installations, the augmented reality and the tractors, combine and grape harvester displayed inside the pavilion and on the roof. 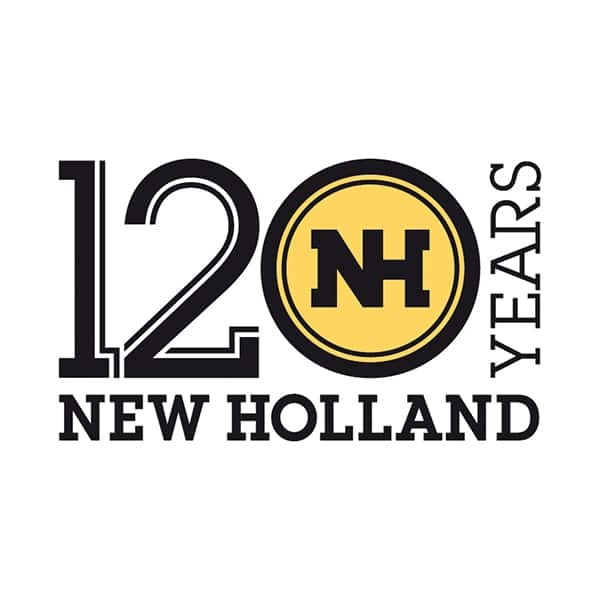 New Holland Celebrates 120 years of history and innovation. 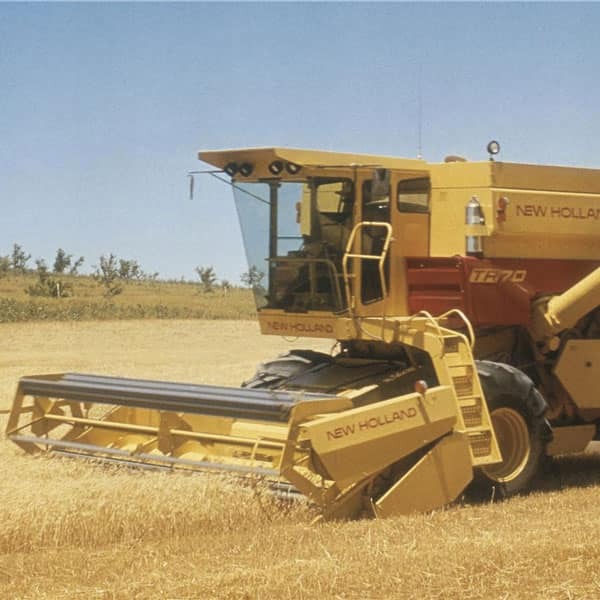 New Holland launches the new CR combine. It mounts the FPT Industrial Cursor 16 Tier 4B engine with ECOBlue™ Hi-eSCR technology . The CR10.90 model sets a new record, recognised by the GUINESS WORLD RECORDS™, for harvesting 797.656 tons of wheat in eight hours. 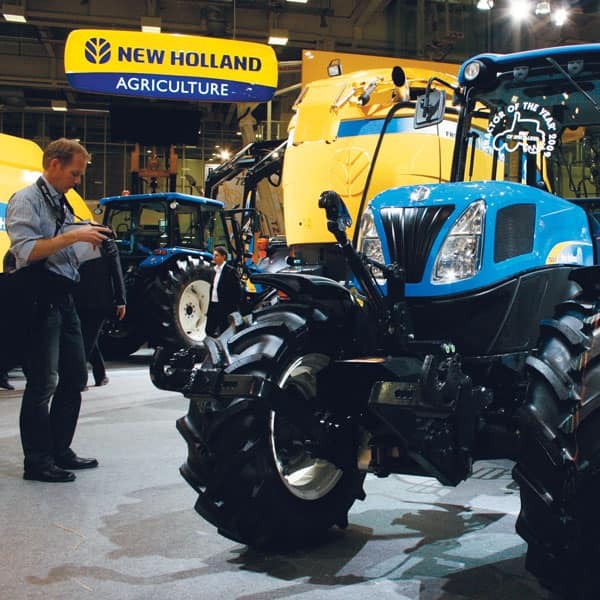 New Holland unveils a working prototype of the T6.140 Methane Power tractor at the Agritechnica trade show in Germany. 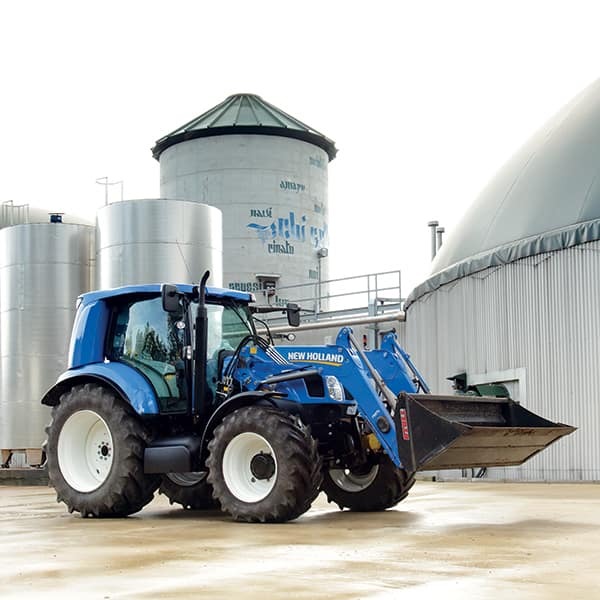 The T6.140 Methane Power has all the features of a standard tractor and is equipped with a four cylinder, three liter engine produced by FPT Industrial that develops a maximum power of 135hp and 620Nm torque. 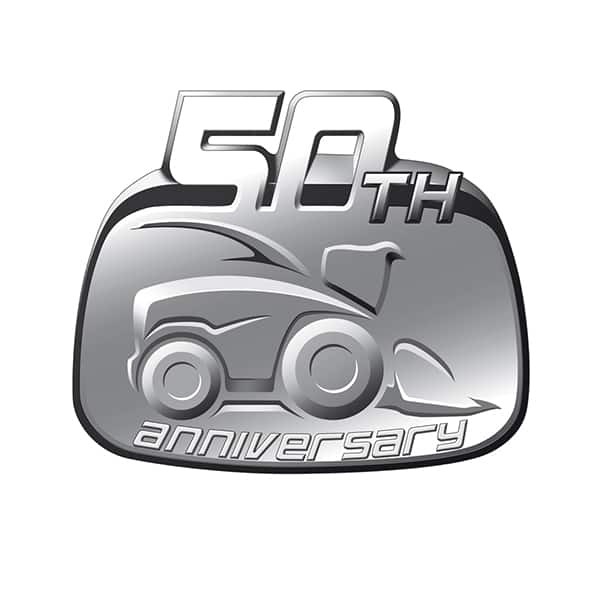 New Holland celebrates 50 years of excellence and innovation in the self- propelled forage harvesters segment in Zedelgem with the launch of the FR9000 50th Anniversary Limited Edition. 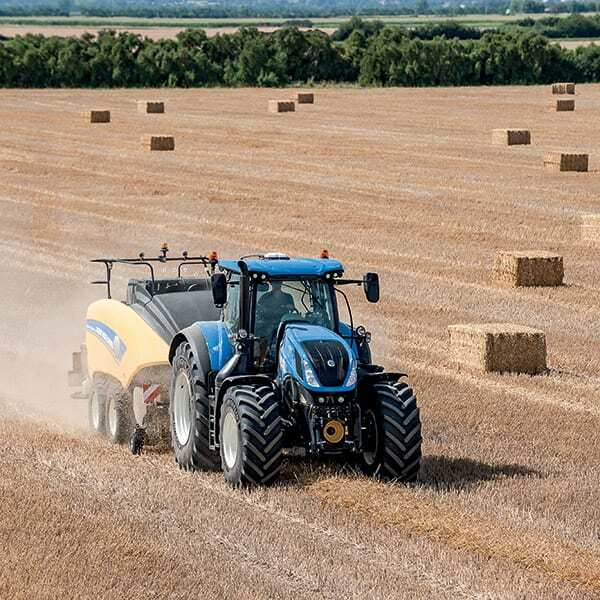 New Holland announces its Tier 4A solutions and is the first manufacturer to establish a clear road map towards full compliance with 2014 Tier 4B emissions regulations for 130 to 560 kW machinery with SCR (Selective Catalytic Reduction) technology only, relying on FPT Industrial’s solutions. 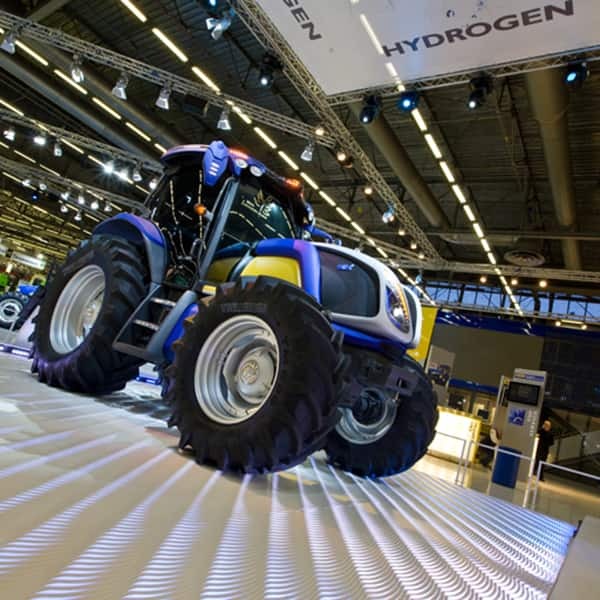 The NH²™ hydrogen tractor and the Energy Independent farm project is unveiled to the public at the SIMA show in Paris, France. 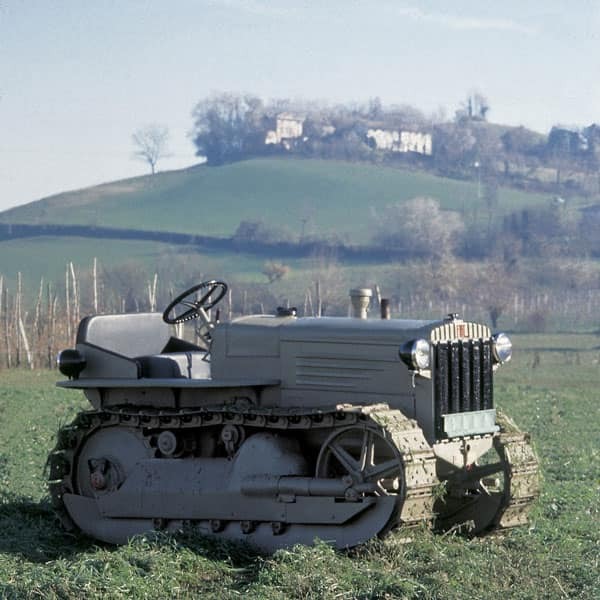 The 90th anniversary since the first Fiat tractor rolled off the assembly line is celebrated at the EIMA show in Italy. New Holland announces its three-year sponsorship of the Italian football club Juventus - a partnership based on the common values of dynamism, teamwork, passion, commitment and victory. 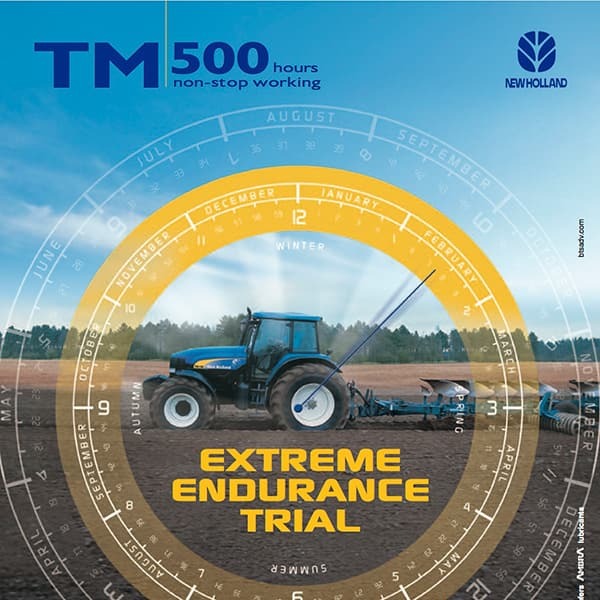 TM Tractor Endurance trial in France: the TM190 tractor, running on 100% biodiesel, works for 20 days straight, clocking up more than 500 hours of continuous operation. 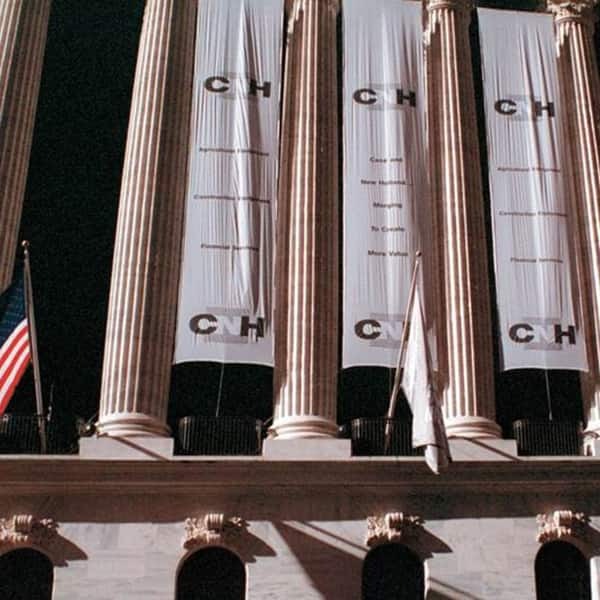 Fiat Group acquires Case Corporation and merges it with New Holland N.V. to create CNH Global, a world leader in farm machinery and construction equipment. 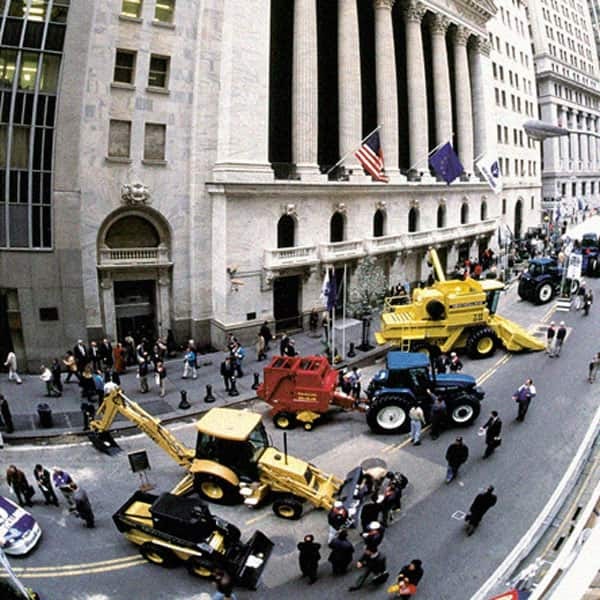 New Holland is listed on the New York Stock Exchange on November 1st. The full process of integration of Ford New Holland and Fiat Geotech is completed and the company takes the name New Holland. 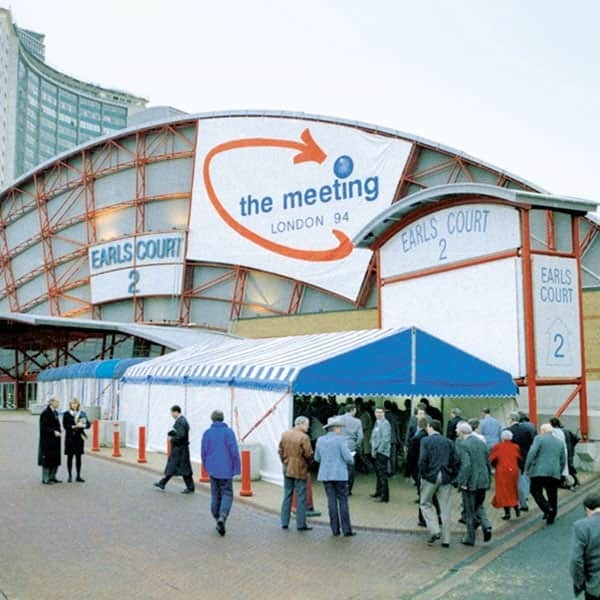 It is launched to its dealer network at a worldwide convention in London, UK. Fiat acquires Ford New Holland Inc. and merges it with Fiat Geotech. 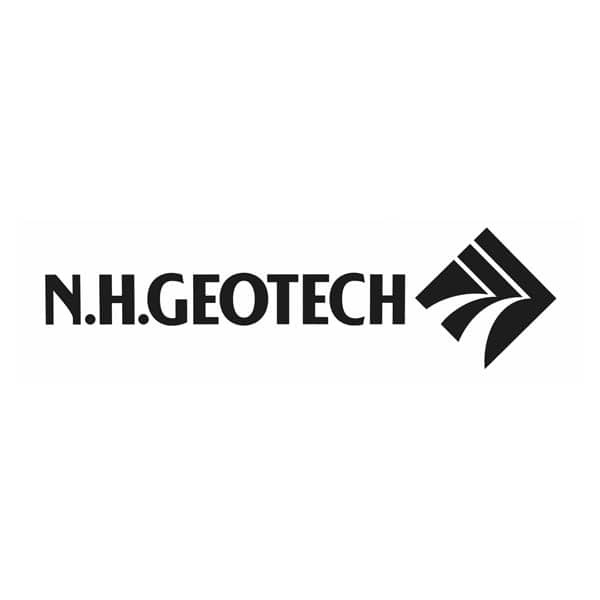 The new company is named N. H. Geotech. 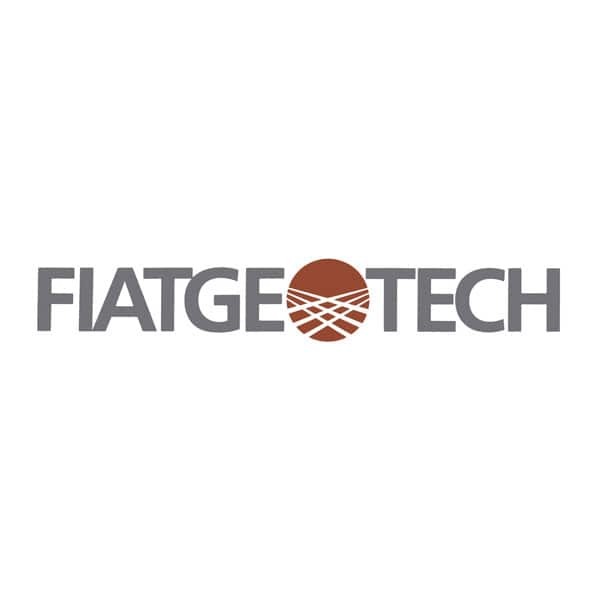 Fiat brings together its agricultural and construction equipment businesses under the name Fiat Geotech. 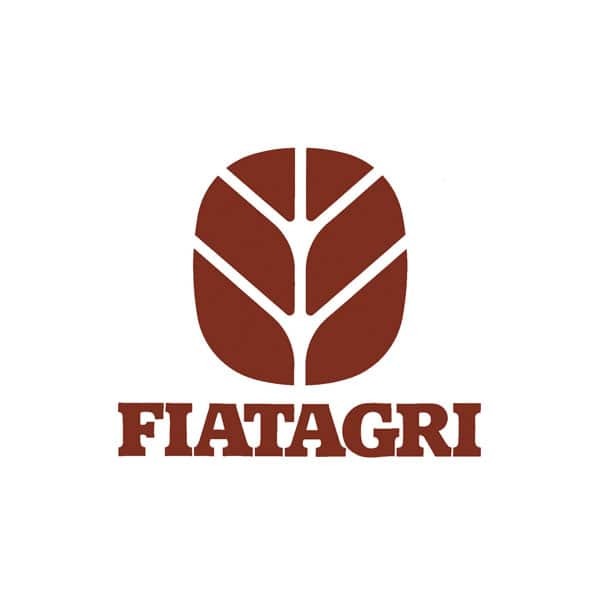 The name FiatAgri is maintained as the company’s agricultural brand. 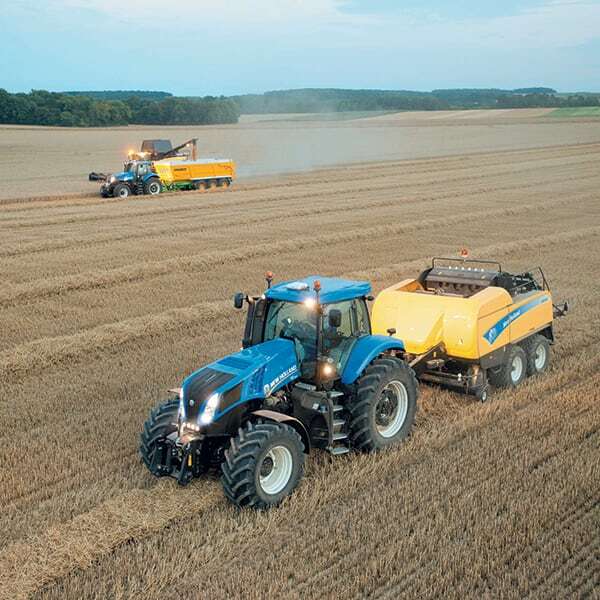 Ford buys Sperry New Holland and forms Ford New Holland Inc.
Fiat Trattori changes its name to FiatAgri and buys 75% of Braud, manufacturer or self-propelled grape harvesters. 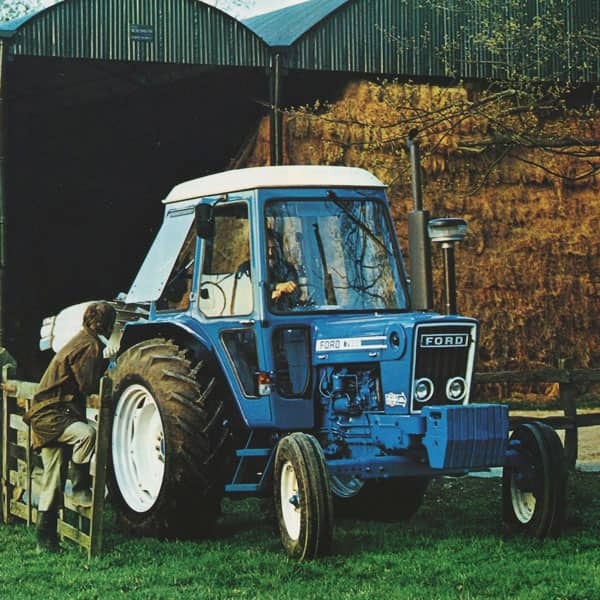 The Ford 10 series is the first truly modern tractor: it combines modern styling with the Super Q cab, which leads the industry in terms of comfort and safety. 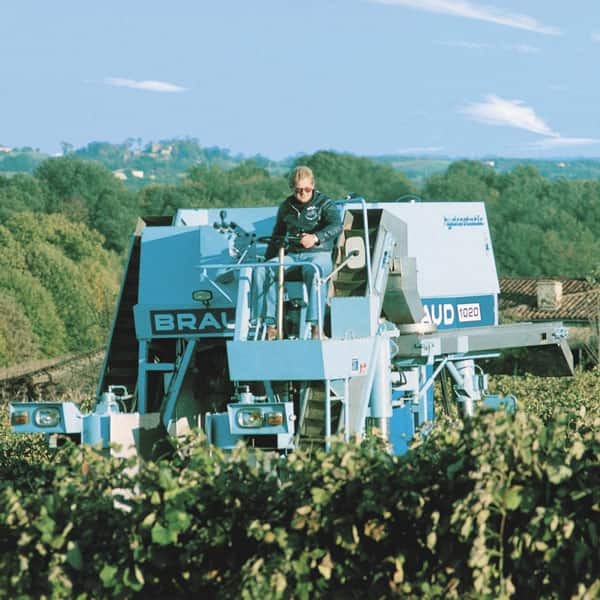 Braud launches its first self-propelled grape harvester, model 1020. 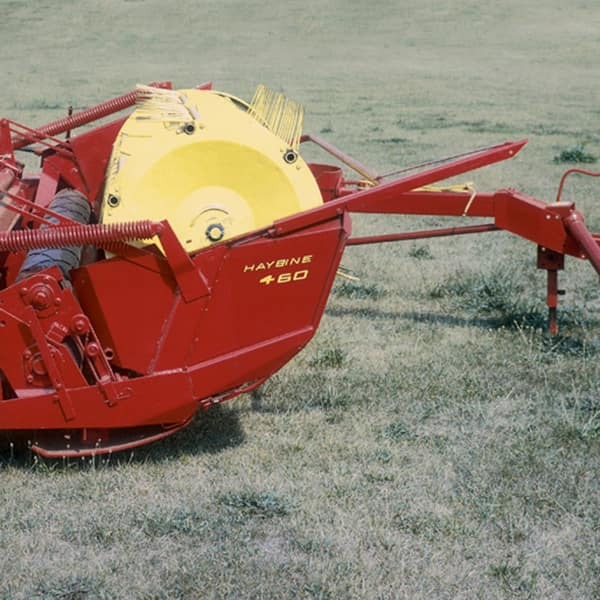 This is further improved with the famous Braud 1014, the best-selling grape harvester in history with over 2000 units sold in less than four years. 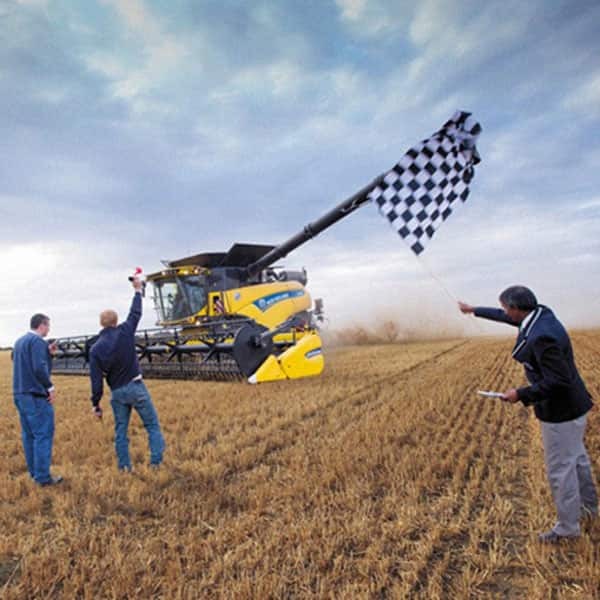 Sperry New Holland introduces the world’s first Twin-Rotor ® combine: a winning idea, still leading the industry today. The Fiat 640 is launched. It is the beginning of an enduring international success that continues to this day. 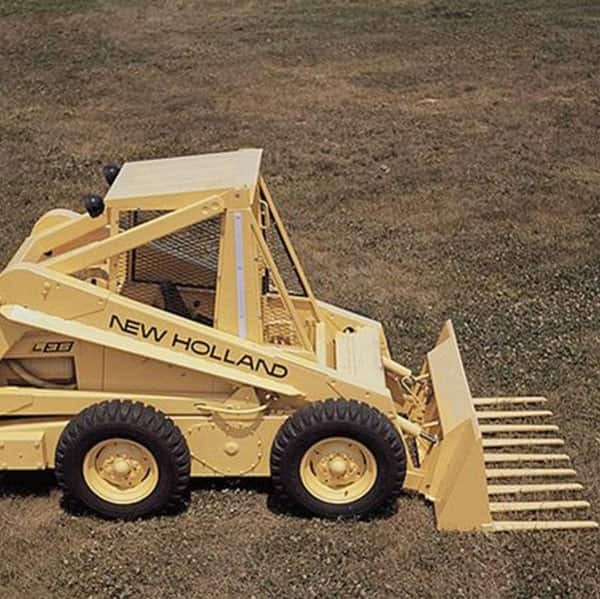 New Holland launches its first skid steer loader. 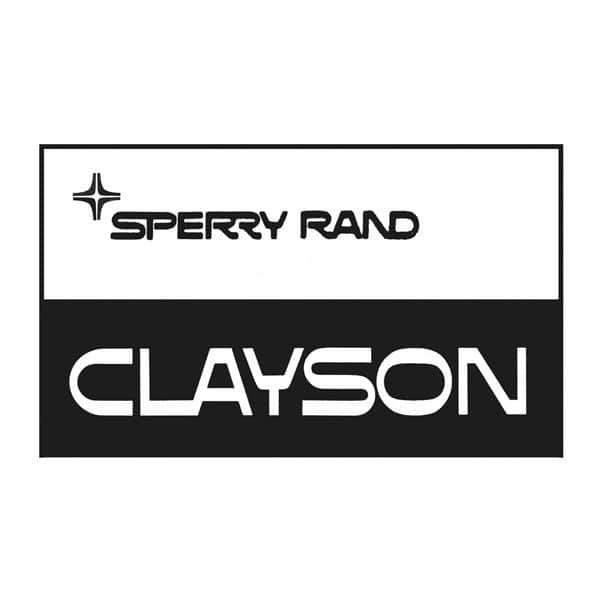 Sperry Rand buys a major interest in Claeys. The first self-propelled windrower, Model 900 Speedrower®, is launched. 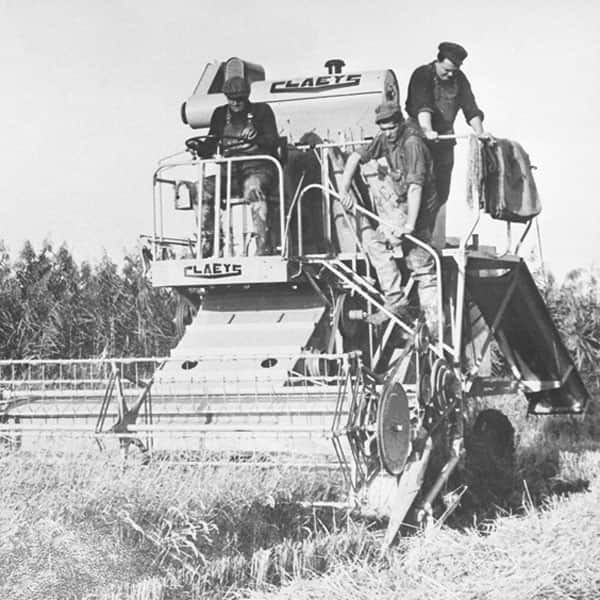 Claeys launches the first European self-propelled combine harvester. 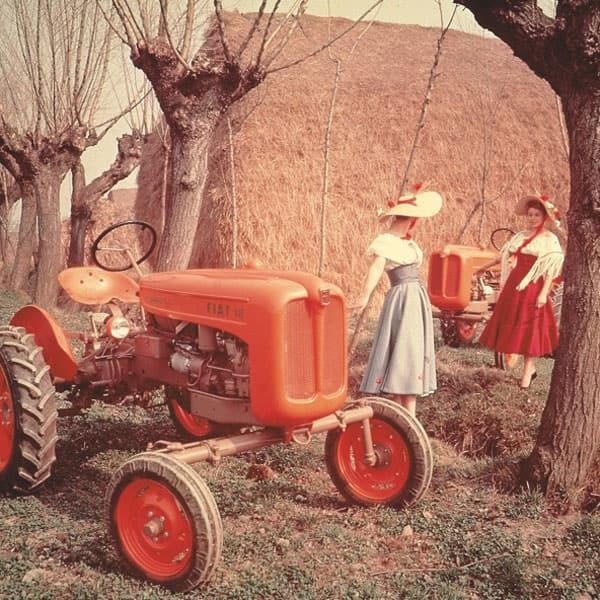 In the late 1950s two new models, Model 18 “La Piccola” and the 411, bring international success to Fiat tractors. 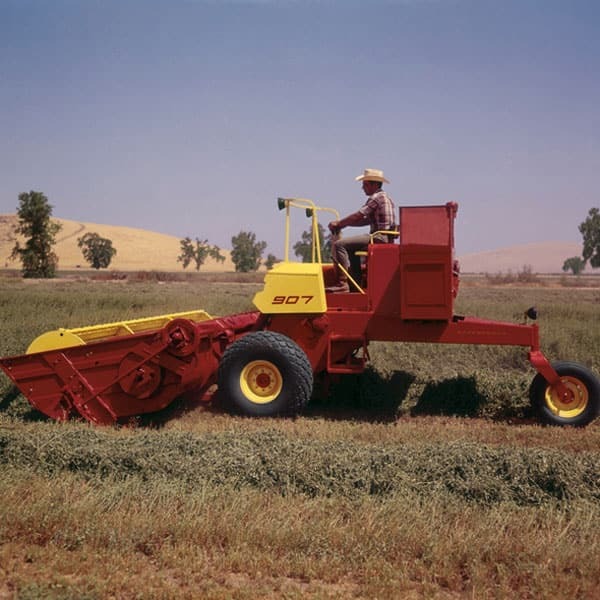 The company in USA changes its name to Sperry New Holland, following the acquisition of New Holland by the Sperry Rand Corporation and makes a major breakthrough in hay harvesting technology with the introduction of the haybine mower-conditioner. At the 43th Agriculture and Horse fair in Verona a new Fiat crawler tractor is launched: it is equipped with the Boghetto Otto-cycle low compression engine tant can run with different fuels: petroleum, diesel, alcohol, gasoline and methane. It is produced and sold until 1947. 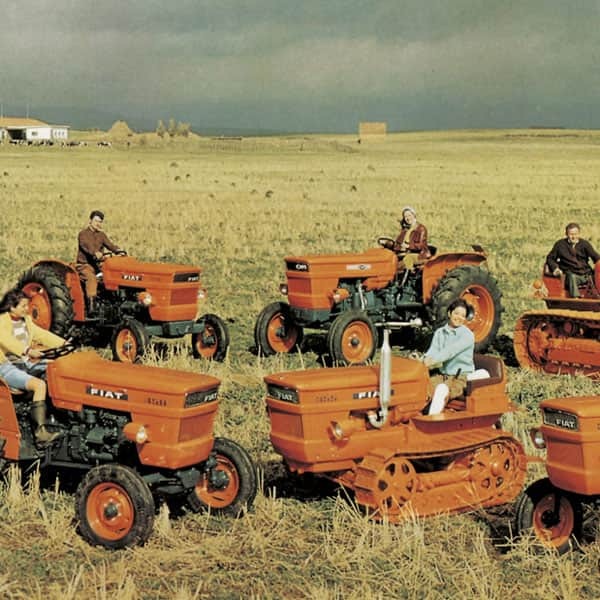 Ford introduces the 3-point hitch on the ‘N’ tractor series: one of the most successful tractor families ever. 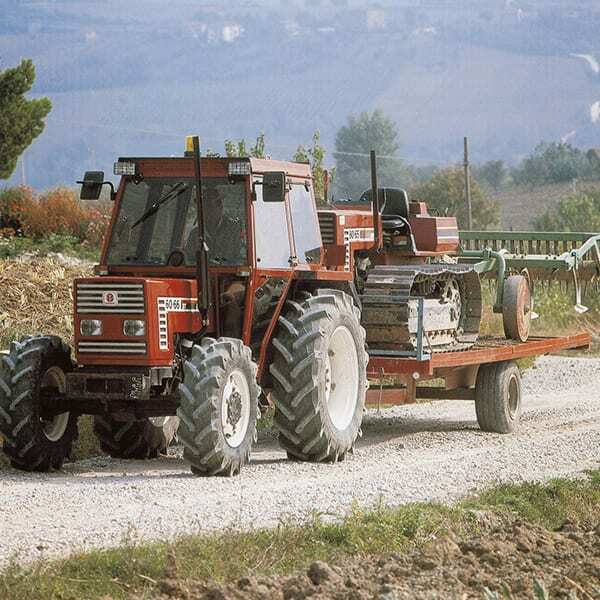 The 700C or Tipo 30 is the first crawler tractor to be mass-produced in Europe; it is widely used in the African colonies where it proves irreplaceable in cultivating the virgin, loose and sandy terrain. 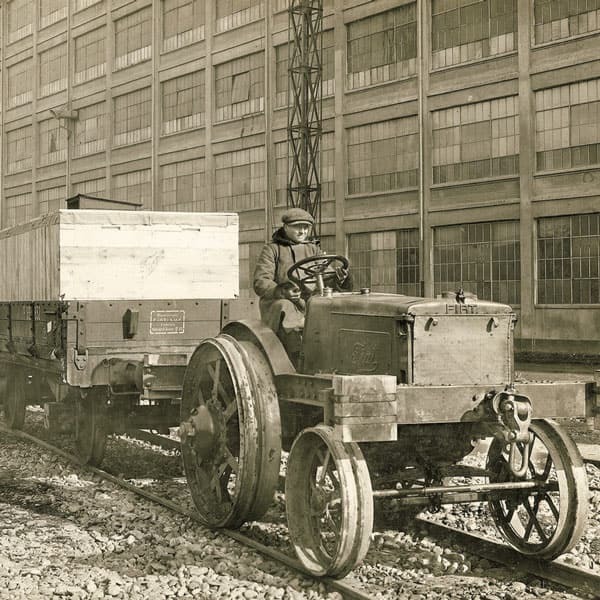 In 1929 Fiat Trattori is selling tractors at the rate of more than 1,000 units a year. 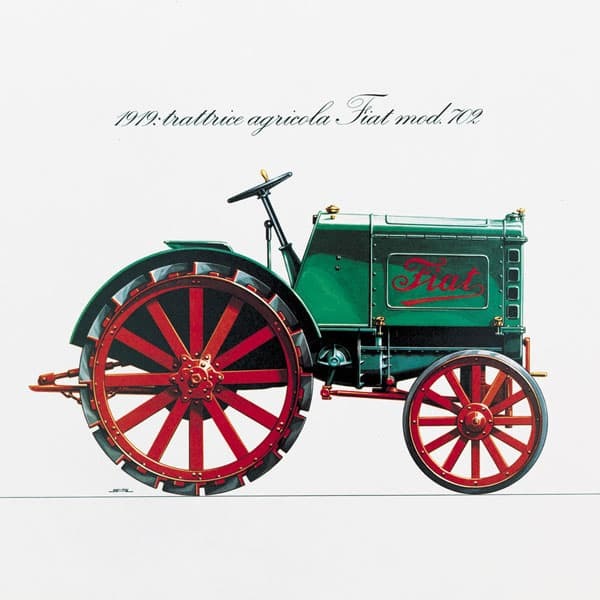 Fiat Trattori reaches the milestone of 2,000 units produced since it first started in 1918 with the launch of its first tractor, the Fiat 702. 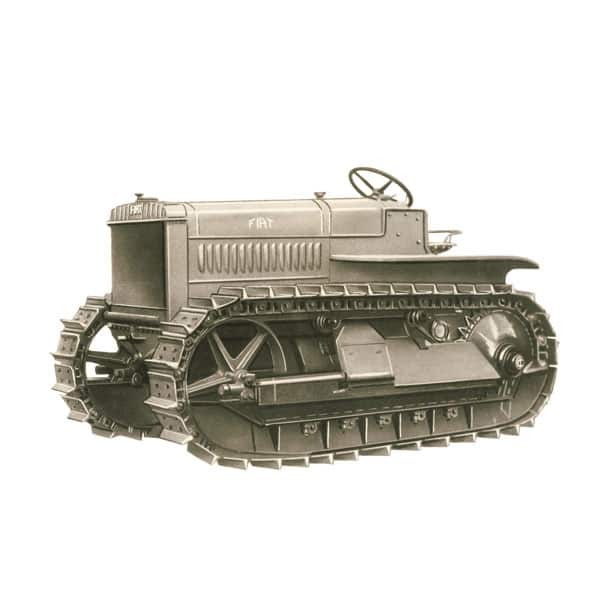 The milestone is achieved with the Fiat 702 followed by the 702A, B and BN variants and then the 703B and 703BN, which remain in production until 1925. 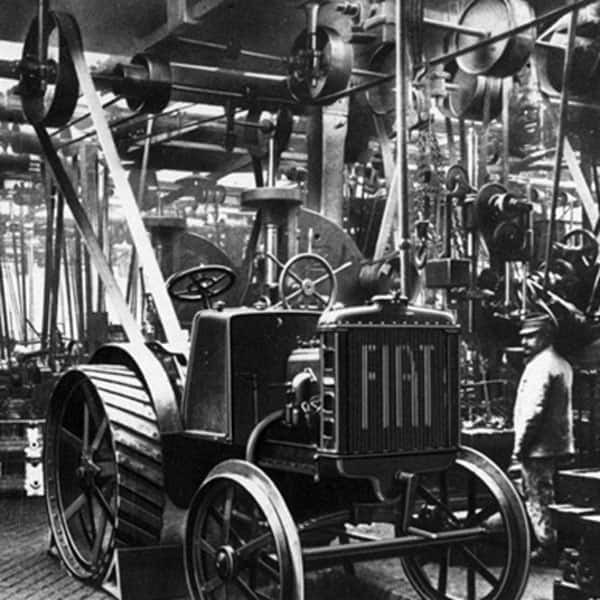 The Fiat Model 702 tractor is launched. 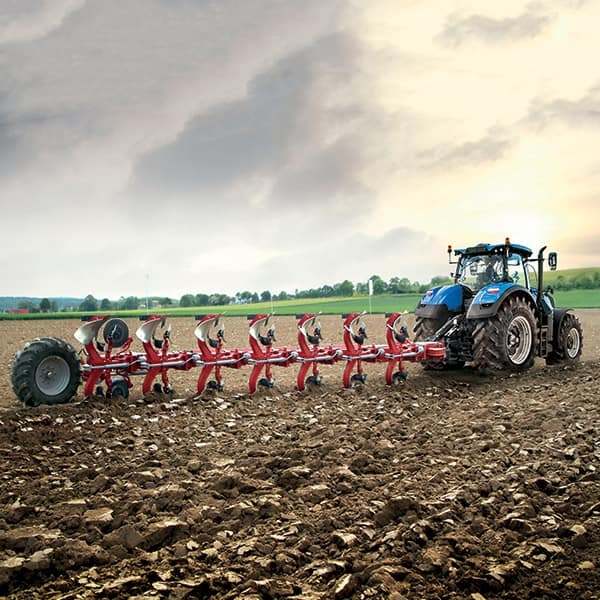 It goes into full production a year later at the car and truck plant in Turin, Italy, and wins the International Ploughing Contest in Senlis, France. 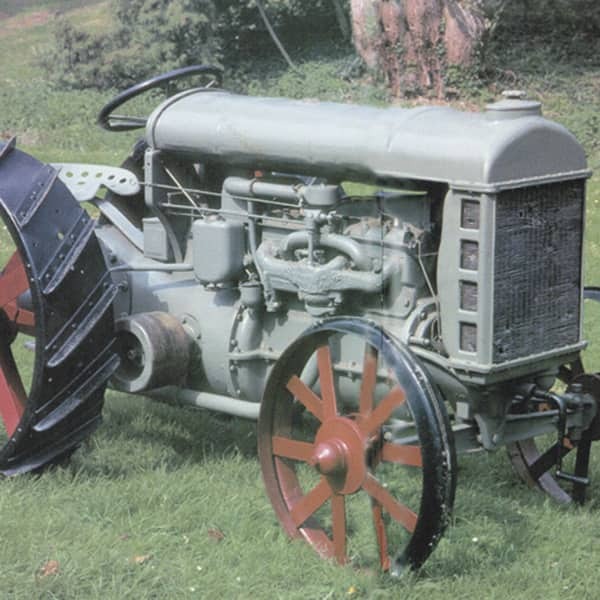 Model 702 is the very first Fiat agricultural tractor, and the first one to be built on an industrial scale. 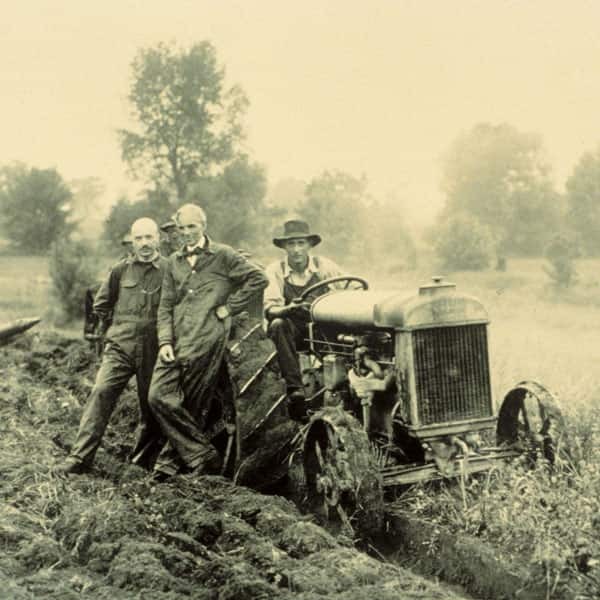 Between 1917 and 1922, the Fordson Model F is to tractors what the Ford Model T is to automobiles: it captures the public's imagination with its reliable design, the low price that is affordable for workers and farmers, and a widespread dealership network. 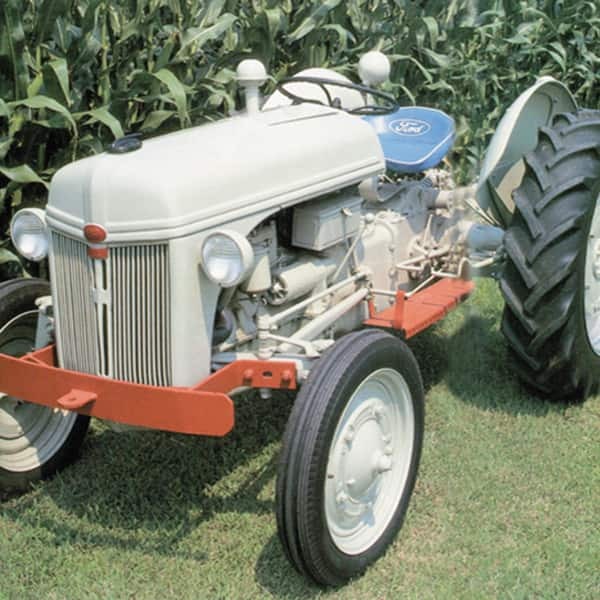 Ford comes out with the prototype for the world’s first mass produced, gasoline powered tractor, named ‘automobile plow’. 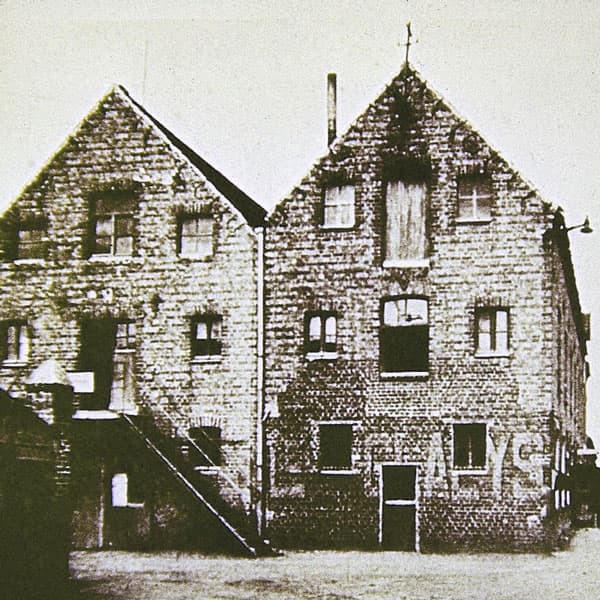 Leon Claeys, a Belgian mechanic, starts to produce threshing machines, and in the same year builds his factory in Zedelgem, Belgium, where our Harvesting Centre of Excellence still stands today. 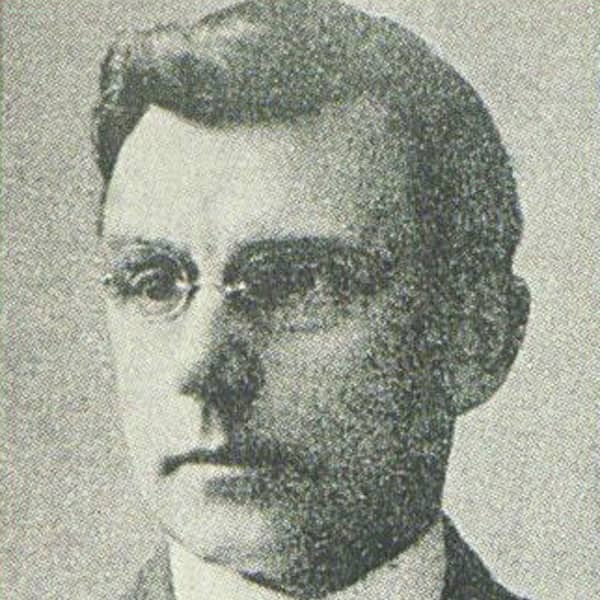 Zimmerman founds the New Holland Machine Company and produces agricultural equipment, including a feed mill, to help the farming community around him. 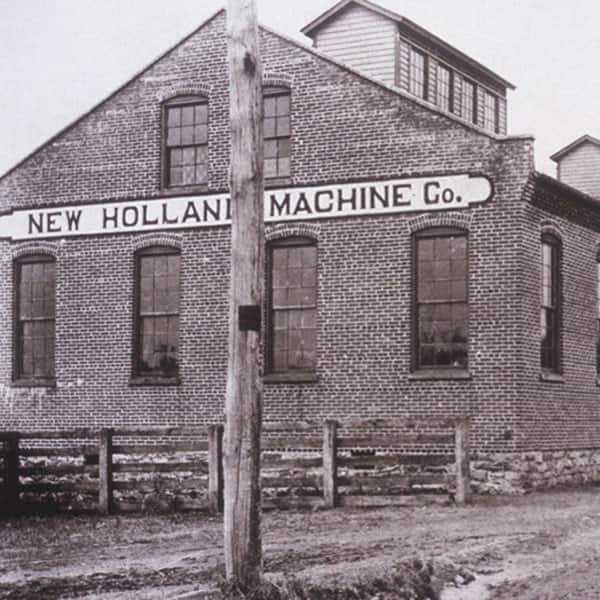 Abe Zimmerman opens an equipment repair shop in 1895 in New Holland, Pennsylvania, USA, which is where our name comes from.